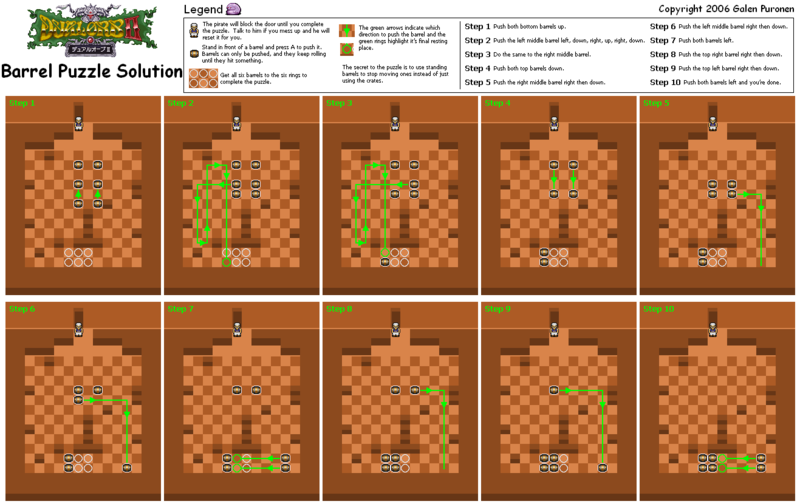 Shows you exactly how to solve Bargan's barrel puzzle one step at a time. A GIF animation showing you how to solve Bargan's barrel puzzle. This is the most mazey area of Dual Orb 2. I know, its such an easy cave. I don't know what in the 9 hells possessed me to make a map for it. I suppose it was just one of those lonely Friday nights.